J.D. 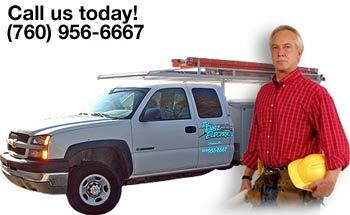 Ensz Electric, Inc. is family owned and operated. We provide quality Residential, Commercial and Industrial electrical service to the High Desert, San Bernardino, Riverside and Orange Counties. We always treat our clients with respect and honesty. Our company’s growing success has been built on the testimony of our loyal customers. We pride ourselves in offering detailed explanations on how we can optimize your electrical projects. Our responsible staff consistently delivers outstanding service on time and done properly the first time. We understand time is very important, not just for us, but for you as well.